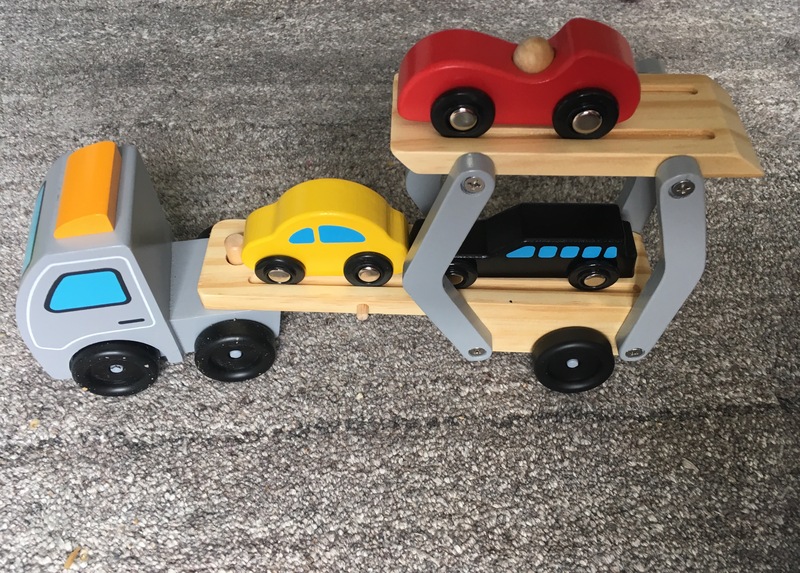 Beautifully Made– Made out of wood, in an environmentally safe production process, the double decker Car Transporter and its 3 cars are beautifully made. We loved the smooth edges, careful detail & perfect paint job! 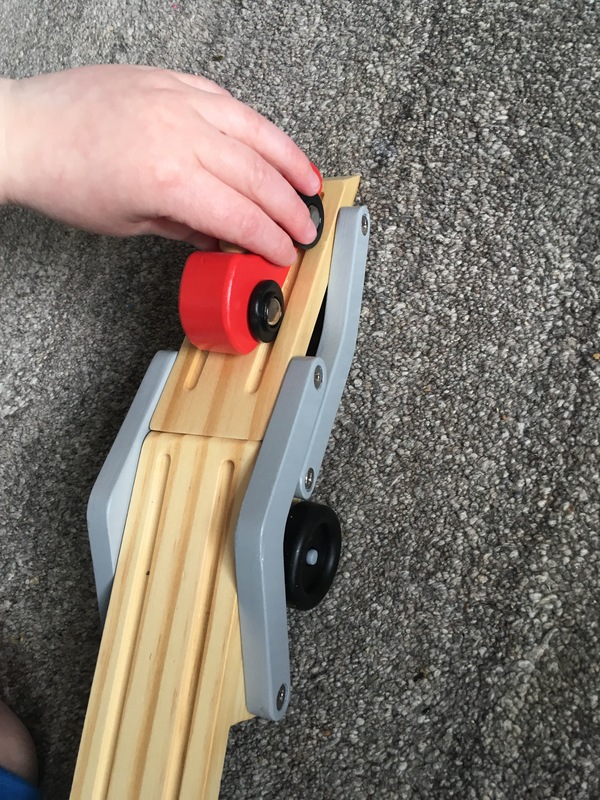 Suitable For Range of Ages- We found this to be a great toy for siblings as it’s suitable for toddlers and young children alike. 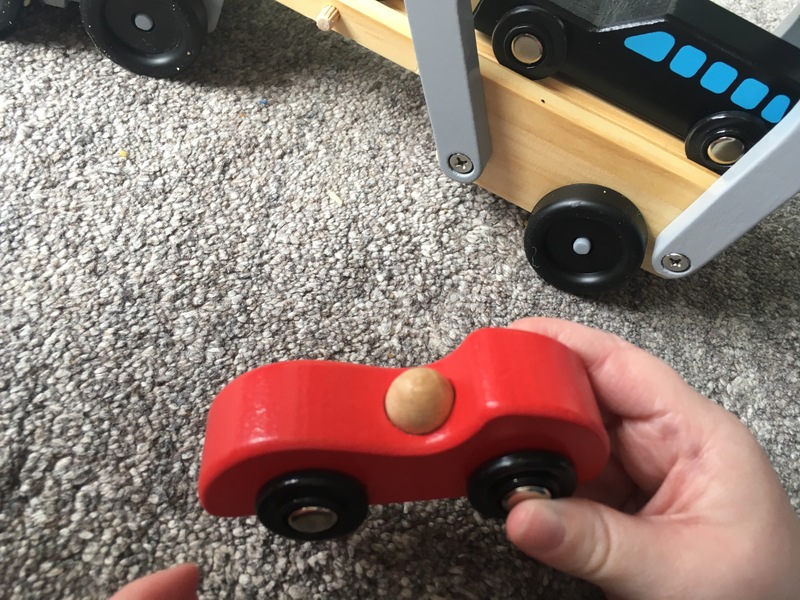 Toddlers might enjoy putting the vehicles into the Transporter and trying them out on the ramp, whereas older children can use it in Imaginative and small world play. 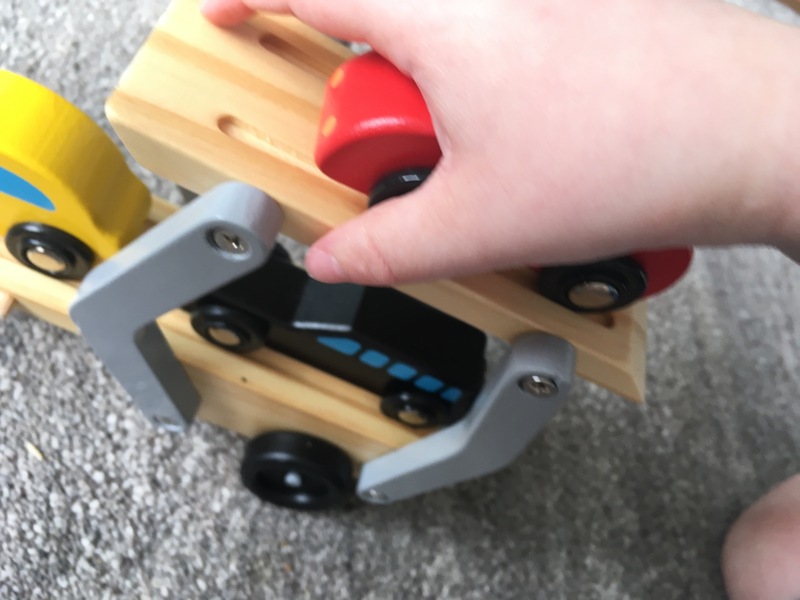 Promotes Imaginative Play– Our children loved pretending to be Car Transporter drivers, loading the three cars on board and taking them to their destination (..across the playroom) to be unloaded. Imaginative play is so important for helping children make sense of the world we live in. It’s also great fun! Looks great and I like the fact it has no sharp edges. ← How Do Children Benefit From Having Small Whiteboards at Home?